Pastor Matt Llewellyn, his wife, Jena, and their two sons, Owen and Maxwell. The Gallipolis First Church of the Nazarene introduces their new pastor, Pastor Matt Llewellyn. 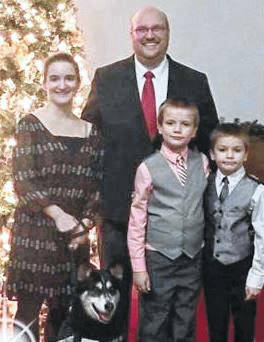 Pastor Matt and his wife, Jena, and their two sons, Owen and Maxwell, come to the church from the West Virginia North District.